The focus of my research is on the prevention and treatment of Alzheimer’s disease in the preclinical, prodromal and early clinical stages, using new pharmacological (drug trials), and non-pharmacological (yoga and meditation) tools. The research plan for the memory clinic envisaged the establishment of a cohort of well investigated subjects in different stages of evolution of Alzheimer’s disease. i.e. (i) Normal aging, (ii) preclinical, prodromal and early clinical stages of Alzheimer’s disease and (iii) moderate-severe stages of Alzheimer’s disease. (1)	Canadian consortium for neurodegeneration in aging (CCNA) - A longitudinal study. We are recruiting healthy elderly and patients in the prodromal, preclinical and early Alzheimer’s stages. Periodic measures would include physical, psychiatric and cognitive evaluations. In addition, imaging and neurocognitive measures would be included in the periodic evaluation. The purpose is to gather data during the longitudinal course of the illness. (2)	Clinical trial of disease modifying agents in prodromal and early Alzheimer’s disease. i.	Beta-secretate inhibitor (Merck) in prodromal and early AD. (3)	Effect of yoga and meditation in healthy control subjects and in subjects with amnesic MCI. An FMRI study- Graduate student project (Ishan Walpola- Master’s Student)- Co-supervised by Dr. Pedro Rosa-Neto. Nair, NPV, Lal, S., Thavundayil, J.X., Wood, P.L., Etienne, P. and Guyda, H. (1984) CCK 33 antagonizes apomorphine induced growth hormone secretion and increases basal prolactin levels in man. Neuropeptides 4:281 291. Nair, NPV, Bloom, D., Lal, S., Debonnel, G., Schwartz, G. and Mosticyan, S. (1985). Clinical and neuroendocrine studies with cholecystokinin peptides. Ann. N.Y. Acd. Sci. 448:535 541. Nair, NPV, Lal, S., Thavundayil, J.X., Isaac, I., Eugenio, H., Achim, A., Schwartz, G. and Guyda, H.(1985) Effect of normal aging on the prolactin response to graded doses of sulpiride and to arginine. Prog. Neuro Psychopharmacol. & Biol. Psychiat. 9:633 637. Nair, NPV, Lal, S. and Bloom, D.M. (1985). Cholecystokinin peptides, dopamine and schizophrenia a review. Prog. Neuro Psychopharmacol. & Biol. Psychiat. 9:515 524. Nair, NPV, Hariharasubramanian, N., Pilapil, C., Isaac, I. and Thavundayil, J.X. (1986). Plasma Melatonin An index of brain aging in humans? Biol. Psychiatry, 21:141 150. Etienne, P., Robitaille, Y., Wood, P., Gauthier, S., Nair, NPV and Quirion, R. (1987). Nucleus basalis neuronal loss, neuritic plaques and choline acetyltransferase activity in advanced Alzheimer's Disease. Neuroscience 19:1279 1291. Quirion, R., Bloom, D., Nair, NPV (1988) Interaction between certain antipsychotic drugs and dihydropyridine receptor sites. The Calcium Channel: Structure, Function and Implications. Morad, M., Nayler, W., Kazda, S., Schramm, M. (Eds). Springer Verlag Berlin Heidelberg, pp. 520 527. Lal, S., Nair, NPV, Thavundayil, J.X., Tawar, V., Tesfaye, Y., Dastoor, D., Gauthier, S. and Guyda, H. (1989). Growth hormone response to apomorphine, a dopamine receptor agonist, in normal aging and in dementia of the Alzheimer type. Neurobiology of Aging, 10:227 231. Quirion, R., Nair, NPV (1989) Dihydropyridine and phenylalkylamine binding sites in Alzheimer's disease and other neurological disorders. In: Nimodipine and Central Nervous System Function: New Vistas. International Workshop, Cologne, FRG, April 12 14 / J. Traber, W.H. Gispen (Eds). Schattauer, Stuttgart New York, pp. 257 265. Nair, NPV, Amin, M., Schwartz, G., Dastoor, D., Thavundayil, J.X., Mirmiran, M., MacDonald, C. and Phillips, R. (1993). A comparison of the cardiac safety and therapeutic efficacy of trimipramine versus doxepin in geriatric depressed patients. J. Amer. Geriat. Soc. 41:863-867. Nair, NPV, Amin, M., Holm, P., Katona, C., Klitgaard, N., Ng Ying Kin, N.M.K., Kragh-Sorensen, P., Kuhn, H., Leek, C.A., Stage, K.B. (1995). Moclobemide and nortriptyline in elderly depressed patients: a randomized, multicentre trial against placebo. J. Affective Disorders. 333:1-9. Nair, NPV et al., (1995). Reversible and selective, inhibitors of monoamine oxidase A in the treatment of depressed elderly patients. ACTA Psychiatric Scand, 92(suppl 386): p. 28-35. Ng Ying Kin, N.M.K., Klitgaard, N., Nair, NPV, Amin, M., Kragj-Sorensen, P., Schwartz, G., Ahmed, S.K., Holm, P., Katona, C. And Stage, K. (1996) Clinical relevance of serum nortriptyline and 10-hydroxy-nortriptyline measurements in the depressed elderly: A multicenter pharmacokinetic and pharmacodynamic study. Neuropsychopharmacology, 15(1):1-7. K.B. Stage, P. Bech, P. Kragh-Sorensen, NPV Nair, C. Katona and Danish University. Antidepressant Group (2001) Differences in symptomatology and diagnostic profile in younger and elderly depressed inpatients. Journal of Affective Disorders 2001; 64: 239-48. Sonia, J.Lupien, Georges Schwartz, Ying Kin Ng, NMK, Alexandra Fiocco, Nathalie Wan, Jens C. Prussner,Michael J. Meaney, NPV Nair. (2005). The Douglas Hospital Longitudinal Study of Normal and Pathological Aging: summary of findings. Journal of Psychiatry Neuroscience, 328-334. Fiocco, Alexandra J, Nair, NPV, Schwartz, G., Kin F. Ng Ying, Poirier, J., Lupien, S. J. (2007) The influence of genetic polymorphism on cortisol, cognition, and psychological factors in older adults. Biological Psychiatry 61 (6): 216. NPV Nair, N.M.K. Ng Ying, G. Schwartz, J.X. Thavundayil. (2008) The metabolic syndrome and episodic memory deficit: Gender differences. American Journal of Geriatric Psychiatry, supplement of March 2008. Fiocco AJ, Nair NPV, Schwartz G, Kin FNY, Joober R, Poirier J, Lupien SJ. (2009) Influence of genetic polymorphisms in the apolipoprotein (APOE) and the butyrylcholinesterase (BCHE) gene on stress markers in older adults: A 3-year study. Neurobiology of Aging. 30 (6): 1001-1005. Sindi, S., Juster, R-P., Wan, N., Nair N.P.V., Ying Kin, N. Lupien S.J. (2012) Depressive Symptoms, Cortisol and Cognition during Humain Aging: The Role of Negative Aging Perceptions. Stress, 15 (2), 130-137, March 2012. •	Fellowship of the royal college of physicians and surgeons of Canada in 1972. •	Joined Douglas in 1972 as co-ordinator of research services under Dr. Heinz Lehmann.  Upon Dr. Lehmanns’ retirement in 1976, re-organised the research department into the Douglas hospital Research center in 1979- was its scientific director until 1995. Then appointed as the first ‘psychiatrist in chief’ of the Douglas. Took over as the medical director of the dementia program in 2000. •	Research: (1) Initial work in study of circadian rhythms of melatonin and cortisol- in aging and the Douglas longitudinal study of brain aging in collaboration with Sonia Lupien and Michael Meaney. (2) Neuro endocrine studies- in schizophrenia, depression and aging – in collaboration with Dr. S. Lal and Dr. R. Quirion. (3) Clinical trials in schizophrenia, depression and currently in Alzheimer’s disease. In Alzheimer’s disease, current projects related to disease modifying treatments based on the amyloid hypothesis and the potential of yoga and meditation to prevent age related neurodegeneration.